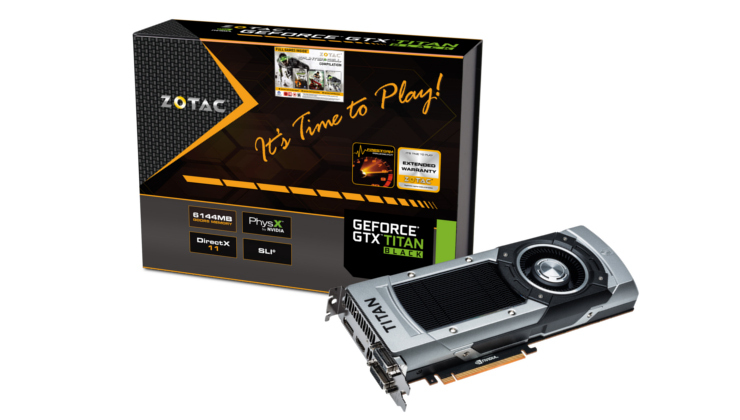 HONG KONG – Feb. 18, 2014 – ZOTAC International, a global innovator and manufacturer of graphics cards, mainboards and mini-PCs, today launches new performance and flagship graphics cards with the GeForce GTX 750 family and new GTX Titan Black. The new ZOTAC GeForce GTX 750 family ushers in a new era of performance PC gaming with the next-generation NVIDIA Maxwell architecture while the new ZOTAC GeForce GTX Titan Black injects the venerable flagship series with greater compute power. NVIDIA’s next-generation Maxwell architecture powers the ZOTAC GeForce GTX 750 family graphics cards with a GeForce GTX 750 and two GeForce GTX 750 Ti[/]b graphics cards that delivers incredible value for demanding gamers that crave a serious gaming experience. The ZOTAC GeForce GTX 750 family supports the latest game enhancing features including NVIDIA GeForce Experience, GameStream, Surround, FXAA, TXAA, PhysX and Adaptive Vertical Sync technologies for stunning visuals and silky-smooth frame rates at or away from the keyboard. Demanding gamers that crave surreal smoothness can opt for the NVIDIA G-SYNC Ready ZOTAC GeForce GTX 750 Ti OC. When paired with an NVIDIA G-SYNC capable monitor, the ZOTAC GeForce GTX 750 Ti OC dynamically matches the refresh rate with the frame rate for liquid-smoothness that’s unrivaled. The new ZOTAC GeForce GTX TITAN Black bridges the gap between gaming and professional graphics for a graphics card that’s exceptional for work and play. The new flagship features a completely unlocked GK110 graphics processor at the heart of the ZOTAC GeForce GTX TITAN Black for superior performance in the latest games. Support for double precision compute capabilities enables the ZOTAC GeForce GTX Titan Black to process complex 64-bit floating-point instructions completely by the GPU for greater performance than a CPU. The ZOTAC GeForce GTX Titan Black double precision compute capabilities makes it perfect for complex parallel computing applications written specifically for NVIDIA CUDA. 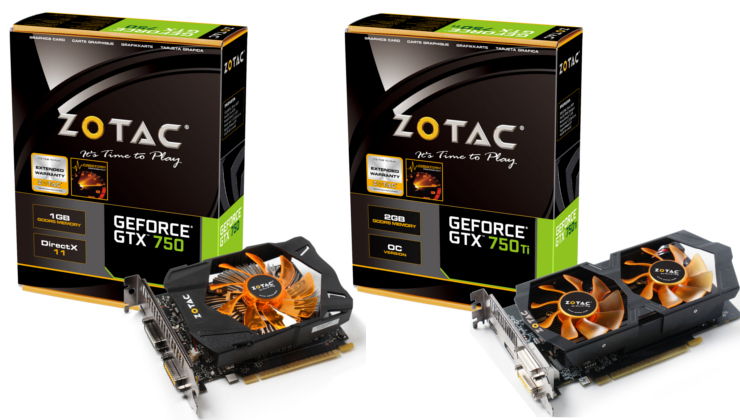 It’s time to play with the new ZOTAC GeForce GTX 750 family and GTX Titan Black.